Purpose of Loan: SBI personal loan can be used for any personal expenses which include travel, vacation, education, medical and other personal finance requirements. Bank does not allow speculative use of personal loans. Borrowers within the age group of 21 and 58 years. Loan amount of minimum Rs. 50,000 to Rs. 15 Lakh. Loan Tenure 6 to 48 months. SBI personal loan rate of interest is in the range of 12.50% to 16.60%. Lowest EMI of Rs. 2,658 per lakh. Processing Fees: In the range of 2% to 3%. Top up on personal loan is an additional loan that can be availed from your existing bank on your running loan or at the time of balance transfer of your loan to a new bank. You can get top up on personal loan from SBI if you have a regular repayment track record on your existing personal loan. Top up loans are available at similar interest rates as that on your existing personal loan. Current interest rate on SBI personal loan top up starts at 12.50%. Loan Amount - This is the amount borrowed by a borrower from the bank. Generally banks offer lower interest rates for higher amount. SBI offers loan between Rs. 50,000 and 15 Lakh. Employer Category - SBI has an internal list of companies falling into categories that are ranked from high to low company categories based on company’s size, reputation and existing relationship with the bank. Employees who belong to companies in higher company categories get attractive discounts and low interest rate loans. Relationship with the Bank - Bank offers special rates, offers and charges to the existing account holders of the bank. Those who have managed their accounts and made all the payments on time in past will get the benefit of low SBI loan interest rate. Loan Tenure - Personal loans are of shorter tenure ranges from 6 months to 48 months as they are taken to meet their immediate requirements. Repayment Capacity - Before giving loan to the borrower, SBI checks the repayment capacity of the borrower. Bank verifies the repayment capacity of the customer through CIBIL as it has the repayment track record of previous loans taken. CIBIL also captures information of credit card bills payment. Preclosure Charges - These are to be paid in case you want to repay your entire loan amount before the end of tenure period. SBI allows preclosure of personal loan after 1 EMI's at preclosure charges of Nil charges. Processing Fee - SBI charges a processing fee of In the range of 2% to 3% of loan amount with applicable tax. The processing fees is non-refundable for most of the banks. SBI Xpress Credit is a special loan for employees of Central and state government, Quasi Government, Central PSUs, Profit making State PSUs, Educational National Institute and few selected companies to help them meet their urgent cash requirements such as a medical emergency or a family vacation. This loan doesn't require mortgaging of collateral or security. Xpress loan is available in two forms: Term Loan and Overdraft Facility on an existing account. Employees of Central and state government, Quasi Government, Central PSUs, Profit making State PSUs, Educational National Institute and few selected companies are eligible for Xpress Credit Loan. This loan is granted to salaried or self employed individuals for their personal expenses such as domestic or foreign travel, medical treatment, for marriage of children, etc. The borrower's income and repayment capacity determine the loan amount he will be eligible for. Salaried and working individuals in any leading corporate house, self employed (engineer, doctor, architect, chartered accountant, MBA) with minimum 2 years experience stand eligible to avail this loan. Pension loan is granted to government pensioners to meet their urgent need of funds for medical expenses, travel or a family obligation. Nil processing fees for defense pensioners. Minimum income eligibility for this loan is Rs. 3,000. The borrowers income and his repayment capacity determine the loan amount that he will stand eligible for. This loan is for all the young defence and para military forces pensioners to meet their personal expenses such as a wedding, for travelling or medical expenses. Jai Jawan Pension Loan is for all the young defence and para military forces pensioners who draw pension out of SBI. There is no requirement of a security for Jai Jawan loans up to Rs. 25,000. All young defense and para military force pensioners not more than 50 years of age are eligible for this loan. If you want to get a loan from SBI, the process to get the loan is fairly easy. 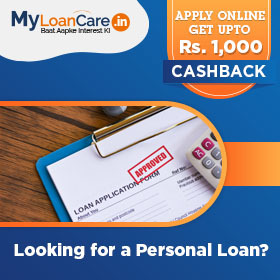 All you need to do is to apply for a personal loan at MyLoanCare. We are a channel partner of all top banks in India including HDFC, SBI, Axis Bank, Citibank. Your loan application will be processed online and SBI’s representatives will get in touch with you instantly to take the loan process forward. 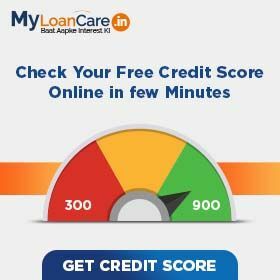 You will also get the free services of MyLoanCare’s personal loan advisor who will ensure that the lending process is quick and you get the best personal loan from SBI. You can also do a comparison of SBI Personal Loan Interest rates and other charges using MyLoanCare comparison tool. Click here to go to the comparison tool. Once you apply online, you can check the real time status of your personal loan application in your customer account section of MyLoanCare. Total Monthly Cost – From Rs. 2,658 for a 48 months Rs. 1 Lakh loan at 12.50% (lowest rate, longest time period) to Rs. 17,483 for a 6 months Rs. 1 Lakh loan at 16.60% (highest rate, shortest time period). This is inclusive of principal repayment. SBI’s terms and conditions as per loan agreement applicable. Short term loans/ pay day loans not available; minimum loan tenure: 6 months. Rate of interest depends upon company categorization, income, job stability, loan amount, CIBIL score, credit profile, existing obligations, verification and other factors. Credit at sole discretion of SBI. How much time will the SBI take to take a decision on my personal loan? Banks generally convey their decision on a loan within 15 days of submitting a loan application. However, some banks also offer instant loan offers which can be approved within a few hours to 2-3 days. Why to take personal loan from SBI ? SBI offers loan at 12.50% rate with the lowest EMI of Rs. 2,658 per lakh. If you are paying EMI more than this then you can opt for balance transfer and relocate your loan to SBI. How much interest is charged by SBI on personal loan? Personal loan interest rates in SBI are 12.50% to 16.60%. SBI personal loan interest rate for salary account holders are comparatively lower than that for other customers. What is the lowest EMI per lakh on personal loan from SBI ? If you apply for loan from SBI, your lowest EMI per lakh will be Rs. 2,658. What is the minimum and maximum tenure of personal loan in SBI? You can repay your personal loan in a flexible period of minimum 6 months to maximum 48 months. How much personal loan amount I can borrow from SBI? How much processing fee is charged by SBI on personal loan? SBI charges a processing fee of In the range of 2% to 3% with applicable service tax. Is age an eligibility factor to get personal loan from SBI? Yes, age is an important eligibility factor to get personal loan as you should be at least 21 years old at loan approval time and 58 years old at loan maturity time. Are there any prepayment charges on personal loan from SBI? Can I add my spouse's income while applying for personal loan from SBI? With more and more number of millennials opting for travel personal loans on credit, the travel or holiday loans segment is growing faster and is more profitable when compared to other loans segment. The strong growth in this segment is witnessed due to the availability of easy EMIs and cheaper interest rates offered by financial institutions and NBFCs such as SBI and Bajaj Finserv. State Bank of India (SBI) is offering the facility of opening a salary package account which is a special saving account offered to salaried customers. This account has a host of benefits like 25% off on locker charges, complimentary insurance cover, retail loans including personal loans, home loans and car loans at competitive rates, a facility of opening NPS and PPF accounts etc. State Bank of India (SBI) has acquired retail loans worth Rs. 27,000 crore including Rs. 10,000 crore worth of micro-finance loans from non-banking finance entities in 2018-19. SBI explained that the purpose behind purchasing loans of NBFCs is to expand its loan book by purchasing good quality portfolio assets at attractive rates. Further, the lender is looking to achieve strong growth across its retail loans segment including home loans and personal loans this year. One of the leading public sector lenders, State Bank of India (SBI) also offers personal loan on its credit card. The lender is offering this facility to its customers to fulfil their extra cash requirements with encash within 48 hours. To avail this facility, a customer has to share his personal details including the details of SBI Card as well as Date of Birth or one can also avail this facility by sending a message or by giving a missed call on their toll-free number mentioned on their official website. In a bid to extend its support to the families of CRPF soldiers, SBI has taken a new initiative. Under the newly launched initiative, the bank has decided to waive off all the outstanding loans of the CRPF soldiers with an immediate effect. The bank has told that all the CRPF soldiers were their bank customers under the defence salary package where the lender was providing an insurance cover of Rs. 30 lakh to each of them. The bank has also created a UPI for the Bharat Ke Veer to offer convenience to the people to make contributions to their families.